Trump, Clinton look to extend lead as voters have their say in five states. 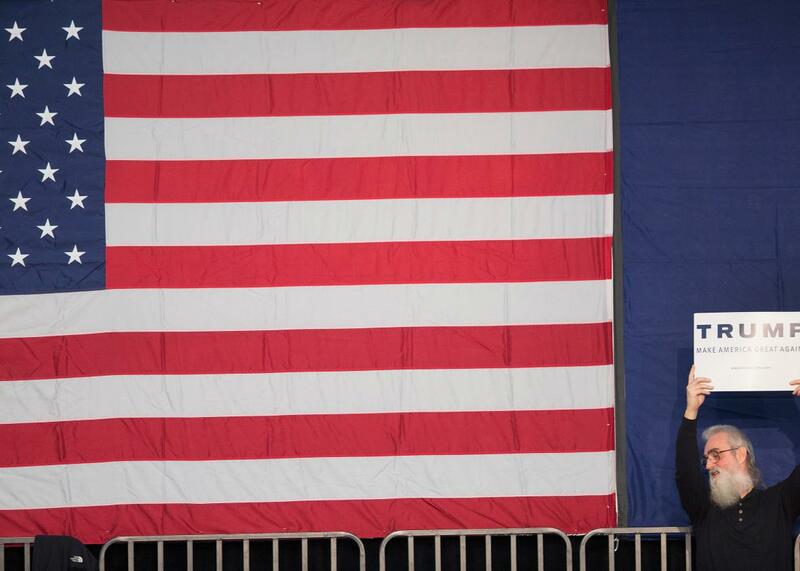 A supporter waits for Republican presidential candidate Donald Trump to arrive at a rally at Macomb Community College on March 4, 2016 in Warren, Michigan. It’s all about the hunt for delegates on “Super Saturday,” as voters weigh in on the 2016 presidential nominating contests across five states. Republican hopefuls, particularly Ted Cruz, are looking to put the brakes on Donald Trump’s momentum in Kansas, Kentucky, Louisiana, and Maine. Hillary Clinton, meanwhile, is seeking to extend her already solid lead over Bernie Sanders when voters have their say in Kansas, Louisiana, and Nebraska. All the contests except for Louisiana are caucuses, which could be particularly favorable to the underdogs. But results are hard to predict, because there has been little polling. Sen. Ted Cruz has particular reasons to be optimistic on Saturday; only party members can participate in the contests, and the closed format traditionally hasn’t been so great for Trump. So far, Republicans have held four closed contests, and Cruz won three of them. Overall, 155 delegates are at stake for the Republicans, and none of the states are winner-take-all contests. For Marco Rubio that means he must get at least 20 percent in Louisiana if he hopes to snap up at least some delegates. Sanders, meanwhile, would appear to have an advantage in two caucus states, Nebraska and Kansas. Clinton, however, looks set to win the big prize of the night, which is Louisiana, where the former secretary of state is likely to rack up another easy victory. A total of 109 delegates are at stake for the Democratic side, and the results on Saturday will surely set the tone for the Sunday night debate in Flint, Michigan.